Really cool stuff. I'll definitely be obtaining more EL in the future! Very cool, supposedly we are going to have LED wall paint, this is electro luminescence it runs at 100 volts and 1000 cycles. Looks awesome EP. I too have dreams of living in a Tron set. I really like the staircase application. I suppose it makes very good general orientation lighting, perhaps when combined with a daylight/motion sensor it would light up stuff as you move around your house at night without the need to put the main lights on. Benm, thanks for the feedback, the staircase idea came to me when I saw a notch in the molding all the way through, and was perfect for the EL wire. I actually do believe it is weatherproof, and if not waterproof than water resistant, though the driver/converter would need a bit of modification for it to be completely sealed, especially as it's high voltage. I was just wondering about how weatherproof the glowing part of the wire is. I'm sure the electronics are not suitable for humid environments given the high voltage and frequentcy operation, but that is not really a problem. For something like a garden application you could probably just put some black heatshrink around any part of the EL wire that you don't want to be visible, leaving the driver inside the house, barn etc. The EL wire is pretty weather resistant due to the insulation needed for high voltage. If it ends up breaking though, that's it for the phosphor. It's also a bit UV-sensitive in most cases. That's one reason why I like the laser light dispersion fiber. It's much more flexible, more durable, thinner, and has more color options. Not cheap for hobbyists yet though. If it ends up breaking though, that's it for the phosphor. Sorry. Just realized how vague that was. You can do that. It's when the outer insulation gets broken or the ends leak and the phosphor gets a little wet that you get problems. The thinner the EL wire the more of a pain it is to cut to size and terminate as the outer wires are very thin and break easily . When I used 2.3mm EL wire it wasn't to bad . 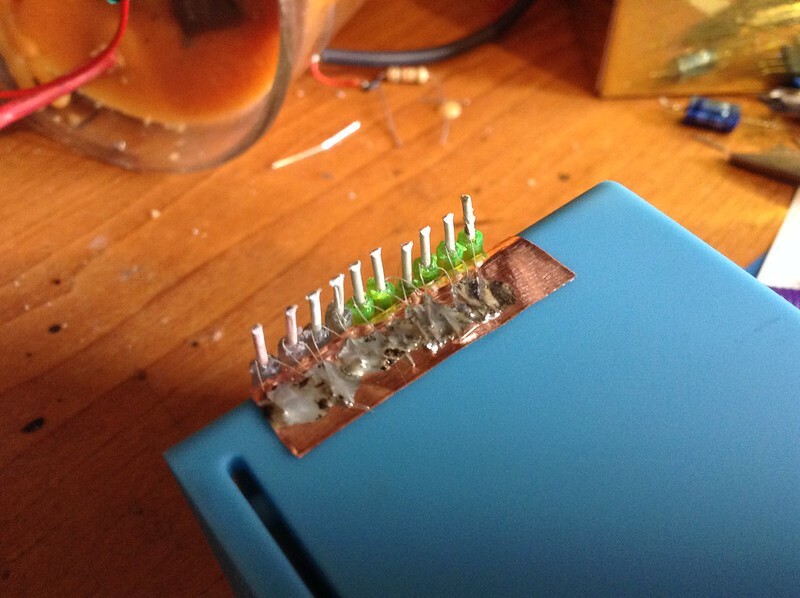 Would that be a problem cutting down an existing piece with a connector on one end to size as well, or is that quite easy to do with something sharp (razerblade, x-acto etc) and then dipping the cut end in some resin to seal it? I can imagine it would be difficult to use the remaining bit, but that wouldn't be much of an issue if i could buy for example 5 meters of it and just cut it down to the 4 required, descarding the left over meter. I live near a store called light tape they do EL tapes. I saw them last October at a makers fair and have been wanting to stop in there shop. 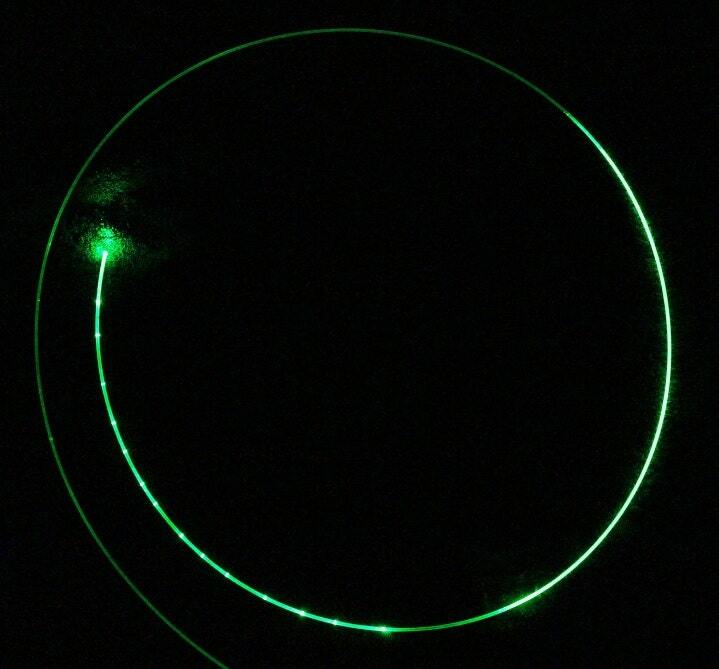 Rivem: "That's one reason why I like the laser light dispersion fiber. It's much more flexible, more durable, thinner, and has more color options. Not cheap for hobbyists yet though." You can sand regular PMMA fiber optic with 400-600 grit sandpaper and it makes very good laser dispersion fiber. And it's dirt cheap! Yeah WizardG, I actually tried that on Cyparagon's suggestion a few months ago. Definitely a similar effect, but it was nowhere as even or bright as the Fibrance powered similarly was in person. Supposedly, there's a bit more to the stuff than the fiber's surface, and it's definitely pretty different from standard optical fibers in composition.